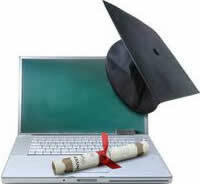 Distance learning systems has become a blessing to the field of education. Despite the shortfalls in technology, this alternative way of learning has becoming promising for the 21st century learners. 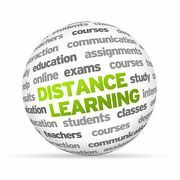 Let’s delve deeper into the advantages of Distance learning. This is one of the biggest edge of distance learning. Students no longer have to drive all their way to be present in a class, physically present beside the instructor, gather study materials from the library, or gather together with other students. Some students who are partly working, have time restrictions and may not study in a traditional class setting. Distance learning may provide them the opportunity to perform academics despite having work. In addition, young adults won’t have to go far away from their state to get formal education. With various distance learning system, students can learn effectively as in a classroom. Cost for online learning is much cheaper than on-campus counterparts. Students worry less since they don’t need to pay for commute, lodging, uniform, canteen, and miscellaneous school fees. 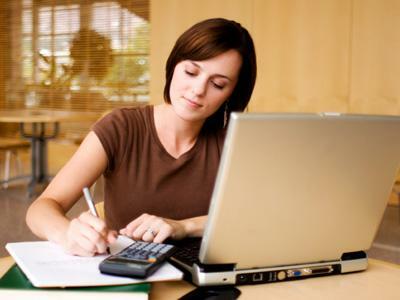 Online programs offer modules that can be downloaded on the computer. So, the need for bulky books will be somewhat eradicated. The cost for school supplies such as paper, pen, and notebook will no longer be needed due to the notepad feature offered free by Microsoft windows. As mentioned, students can work at the same time study. When you have a job, you have income, and with a stable income, you are able to support your studies without plunging yourself from debt – unlike every one else. These are some of the obvious advantages Distance learning systems can give. Efforts in improving the system is still going on, and great possibilities are to be expected in the future. Reading through plain textbook and giving answers to fill-in-the-blank questions isn’t an all natural method to study, and excellent online classes steer clear of such formulaic elements. Rather, they try to interact with students through content material that is a healthy fit for studying the topic. Excellent online classrooms pace the assignments so that learners are not bored or bombarded on any given week. These classes are specifically made to ensure that sufficient time is allocated for focusing on main projects understanding that minor assignments continue to keep students involved in the meantime. The very best online classes are produced with a sense of community. Students are welcomed into the course and you can communicate with the teacher as well as your peers inside a friendly atmosphere. You will find a number of ways that a community can be produced in online classes. Some include off-subject community forums where students discuss from last week’s football game or their favorite quality recipes. Others encourage students to publish real pictures for his or her avatar or require students to accomplish group projects. Connections help students feel at ease taking risks and requesting help. Nobody wants to scroll through hundreds of pages of text documents. A good online classroom enhances learning by including videos, interactive activities, and podcasts, along with other multimedia elements. To create multimedia tools, the components should always possess a solid purpose and should be completed in an expert way. With video conferencing, dual stream capture and cloud-based technological innovation, some schools are establishing the convention for college distance learning systems. The University of Maryland has been using distance technological innovation for over 25 years and nowadays uses a system that contains six studio room classes equipped with high-definition cameras, video conferencing, LCD displays, annotators that allows teachers to write over shown pictures and cloud-based lecture capture and web-casting alternatives. The idea behind these technological innovation is old, but the devices itself is new and is located in the remodeled Arnold E. Seigel Learning Center, which is associated with the university’s School of Engineering. Every engineering class is streaming live and recorded for later on-demand watching. The live documenting of lessons is what places the University of Maryland’s online studying system apart from others. “It’s not like someone comes in and is documenting some extremely produced lecture for a topic. They’re educating a class so as a university student at a distance, you’re getting the identical education and learning as you would if you were here on campus,” says Marty Ronning, assistant director of Distance Education and Technology Services at the University of Maryland. This type of system “is becoming more of a de-facto convention for distance learning systems and college,” says Scott Morgan, senior account administrator for Western Chester, Pa.-based Advanced AV. Morgan wasn’t engaged in the UMD venture but does a lot of identical set ups in the mid-Atlantic area. The design of the remodeled studying center is designed to make the best academic chance of the university’s learners. Each studio class room has a Polycom video conferencing system and four LCD displays by NEC. They also have Sony models HD cameras, a Panasonic A/V switcher, an Extron annotator and Mediasite by Sound Foundry as a web-casting and lecture capture system. The dual streams help to make as close to an on-campus atmosphere as possible for the school’s off-campus members, says Ronning. Online education and learning is growing, but there is always, especially in the federal government, a need to have live class room teachers,” said Merc. “The company structure has changed with distance learning systems. The students have to buy the computer and pay for the internet access.” Ironically, NASA’s Jet Space Lab (JPL) in Pasadena is a federal government enterprise that has turned from satellites to accept distance learning systems. JPL is managed by the California Institute of Technology, which selected LifeSize to help connect its 5,000 workers spread out in more than 100 structures. In addition, JPL’s workers, companies and partners are situated in remote offices around the world. JPL was looking for face-to-face over video capabilities allowing more frequent conferences between slightly situated employees and more appropriate transactions of ideas. The result is increased cooperation and contribution. “Traditionally in the government and education space, applying interactive videos has been difficult to set up and making video calls has been a complicated process,” said Cindy Joffrion, LifeSize’s program manager for government, education and medical services. “I remember sitting in a college class room that had interactive videos and the video conferencing unit took up half the class room.” Joffrion recognizes the coming of WiFi and cellular phones having brought in an adjusting stage in distance learning systems. If you already have a bachelor’s level and are employed; then going back to school is probably the last thing on your mind. However, getting a high level degree on the internet can enhance your leads when it comes to contemporary professions. It doesn’t matter when you went to school; chances are the technical innovation you learned is already out of date. That is right. Even if you finished last year, you are not up to date on technical innovation and the way it is affecting the corporate world. However, in the medical field, you can understand new technical innovation and the abilities you will need to evolve once that technical innovation becomes out dated. This will get ready you for a more contemporary profession and all the technical understanding that comes with it. By getting a medical related degree on the internet, you give yourself a double-dipped knowledge. First, the training required to acquire a degree in the medical area is extensive, but through that extensive training you understand the way it works, the concept, training and information that they just do not show in other programs. Second, by getting a medical related degree on the internet, the amount of relationships you will have with the CMS will help get ready you for a company community in which more and more people are working almost entirely on the internet. Through interacting with friends and your teacher on the internet, you will find out more about internet company interaction. If you want to set yourself apart from the competitors in the contemporary work globe, get an online degree. You will be ready for a more contemporary, exclusive profession, and you will also understand company abilities that convert into the actual life. Yes, the work will be complicated, but the career advancement you will get is highly surpasses most of the other job areas. Career advancement is not the only benefit you will get, rest assured that the job that you will land is also highly satisfying and rewarding. Getting out of bed early, remaining in class late and with traffic from school is really a hassle many people cope with when persevering with their education. Arranging baby sitters or after hours care for evening time training trigger some fathers and mothers to forgo training due to the problem it’ll cause. It may be well suited for busy grownups when they can study in the comfort of their own home, which makes them available to family and buddies on a single time. Distance learning allows people to continue their schooling without fighting traffic, waking early, remaining late or ordering their complete schedule. Many schools and colleges offer courses or degree packages via distance learning for individuals who juggle work and family. The benefits of distance education are more than merely not needing to step foot inside a class. Distance education enables students to possess a versatile schedule to allow them to organize school work and household life reasonably than needing to arrange the entire lot around school. Many distance learning courses allow you to work on your own personal pace as long as all deadlines and papers are posted promptly. Due to this, evening time owls can function on projects during the night when they’re at their best and early birds can work in the morning sooner than a full day can get busy. Distance education students may take full advantage of getting a chance to take a class on a Saturday when they get behind with the week. Versatile scheduling suggests that you simply shouldn’t need to overlook class for any doctor’s appointment or be worried about missing lectures to stay at home with a sick child. With distance learning, you have scheduling freedom while getting educated. With distance education, students can research schools and colleges from all over the nation that provide distance learning programs. Distance studying offers the chance for carrying on faculty all over the nation without having the need to move there.